Search engine optimization is effective when used in the right way. It doesn’t matter whether it is small scale or large scale business, current day business go hand in hand with internet marketing and SEO. When considering search engine optimization, ranking is the most primary concerns of experts as well as the business people. Though there are different search engines like Yahoo and Bing, Google is always the most popular one that everyone would like to give the prime concern. When considering ranking a page, the techniques are applied based on various factors of Google and its updates. If you want to see long-term success for your business, there are various factors which might need to be integrated and implemented from the first day itself. Search engine optimization influences social media and various other factors related to your business. A good website is the base for your business. 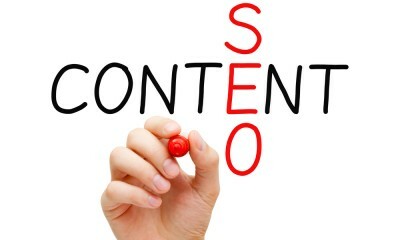 Content plays the major role when it comes to internet marketing and search engine optimization. Your digital content should be SEO-friendly so that the website can be ranked and promoted better. There are many myths prevailing regarding SEO content. The content should be easily understood by people. The article gives insights to certain guidelines to be followed while doing SEO for your website. Make it unique: Search engines literally hate copied content. There are people who don’t understand the importance of unique content. However, if you are having copied content from somewhere else on the web, your website might get blacklisted. There are various tools available on the internet itself to check the uniqueness of your website content. Check your content before going live. Impress and express in the right way: The content should attract the users and grab their attention. They should feel that they have reached at the right place for the information that they were searching for. Simple and easily understood content will always draw more audience. Error-free write-up: The content should be error-free, grammatical as well as literal aspects. Simple write-ups that are grammatically correct and meaningful will only help to sustain the user. Grammatically incorrect content might appear awkward to the reader. Write enough: Writing only a few words and filling the page with images and negative space will have an adverse effect for the website. Lengthy content with relevant keywords and images will attract the search engines too. It can help in ranking your website. Remember keywords: Keywords are the most essential element of a website when talking about search engine optimization. Use appropriate keywords in the content, which should not seem like just ‘stuffed’ thing. These are some of the important factors to consider when writing content for your website. There are a good number of companies available who provide SEO services in Kerala along with content writing packages. Choose the right company for best content writing services. Content is one of the key factors that have a great influence over the search engine algorithm. Content is still considered as the king when it comes to internet marketing.